I got to Grasmere at about 10.30 which was ok as I’d stopped at Lancaster services to buy some lunch and a coffee. I had an Americano. Back on the coffee. This is worse than giving up fags! The loos in Grasmere car park smell of old wee so not recommended. 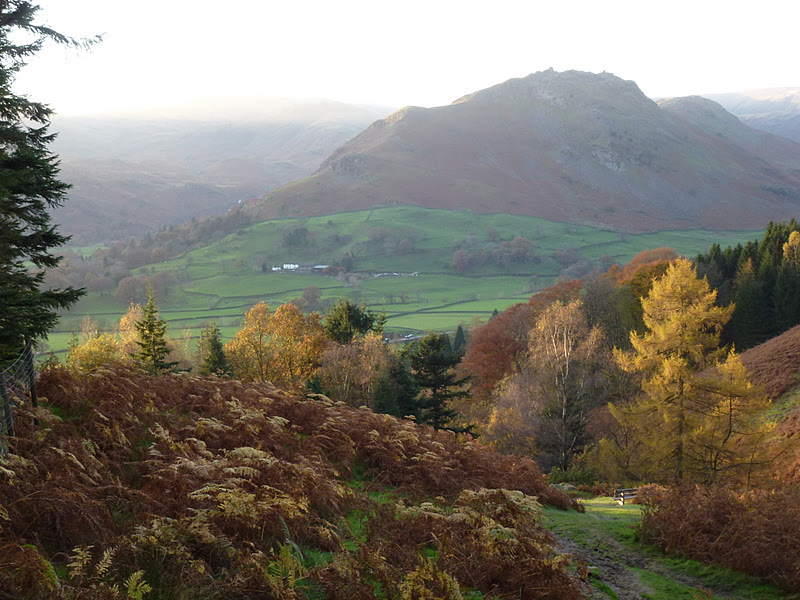 I drove through Grasmere as I’d always bypassed it before. I noted a Cotswold Rock Bottom shop for future reference. It’s clearly dining out on Wm. and Dorothy, more later on them. I parked up on the verge of the A road along with everyone else. Across the road and up a track past some nice houses and then straight up through a bog. Great start to the walk. 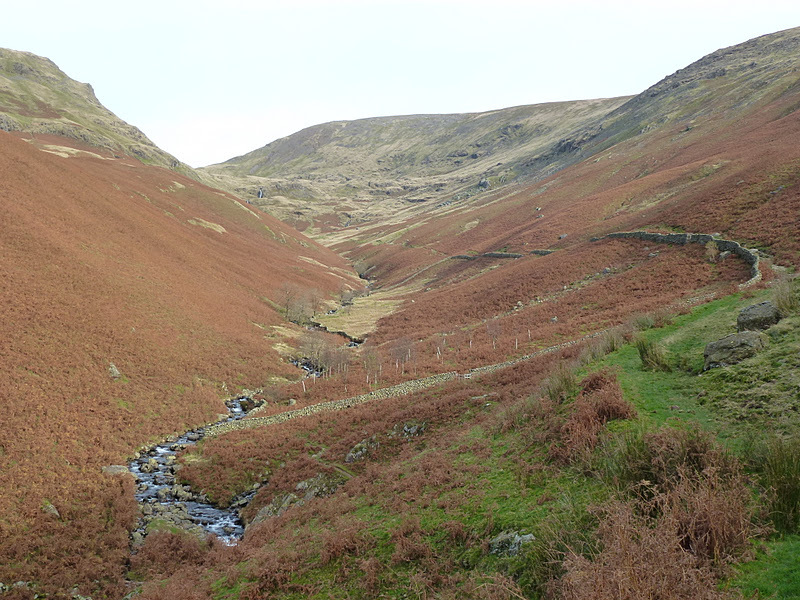 The path goes along Tongue Gill and winds up quite gently passing waterfalls. I saw no one all the way up to the top of Grisedale Hause. There’s a big flat plateau which may be the Fair Field. 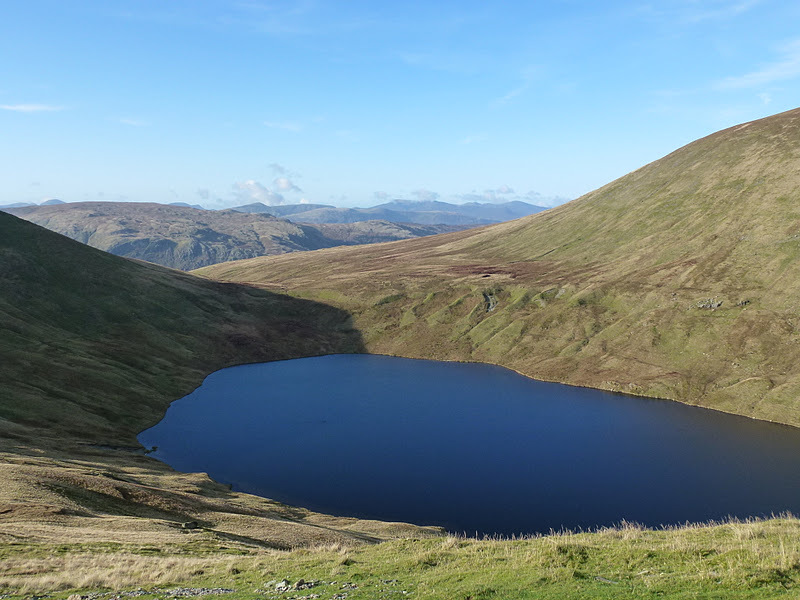 I ate my packet of crisps looking at Grisedale Tarn (nowhere near either Grizedale or Grisedale Pike!). There was a man swimming across the tarn, must have been very chilly indeed. 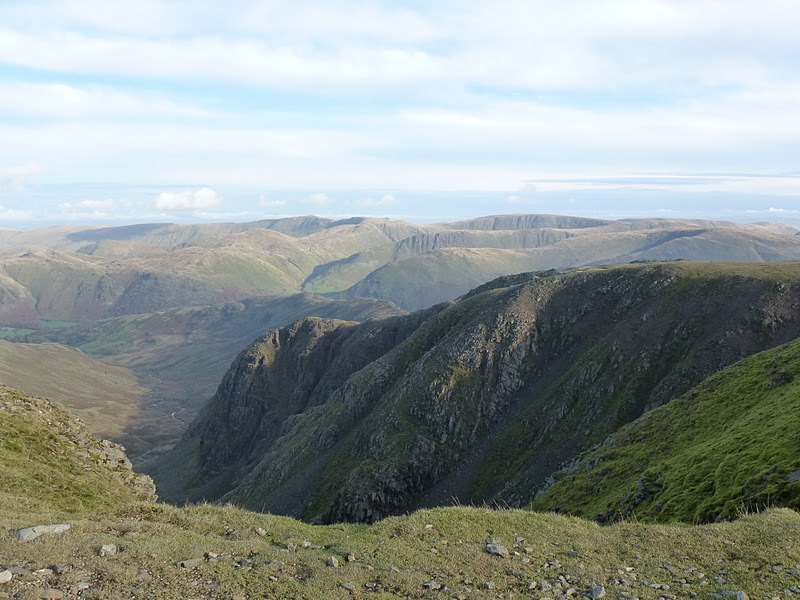 Also a helicopter rescue of someone on Striding Edge (again). 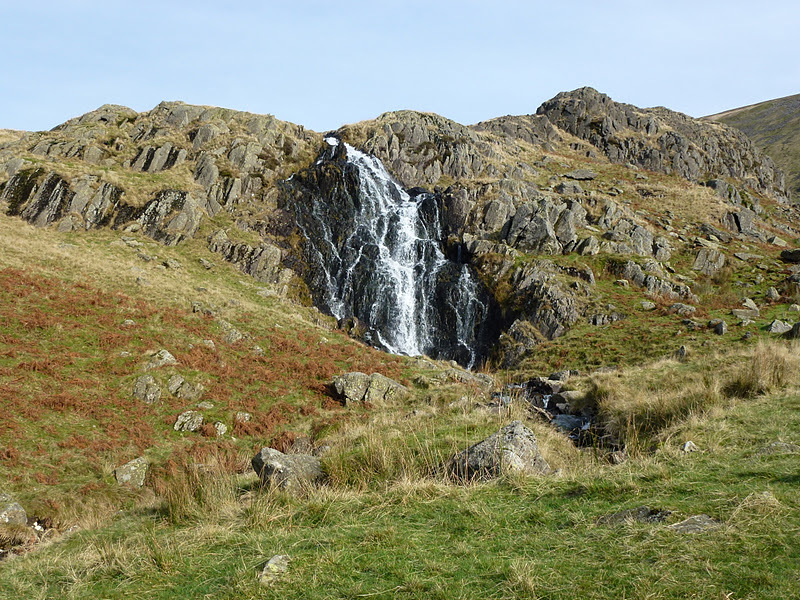 Then the steep ascent to Fairfield which I found hard as have now had 6 weeks of the gym being shut so not had any exercise since we were in Scotland. The gym is being cleaned out from top to bottom because they found a tiny amount of legionella. I chatted to the manager the other day and as well as the refunds we may be getting a spin room set up to encourage us back in. I will go back as the best thing will be that the showers will have to be hotter because of this. Plus the convenience factor. It will be good to get up early because I’m doing something for myself and not just because I want an easy parking spot. There was a large party of elderly women coming down from Fairfield but they all forgot the code to give way to those ascending which mildly irritated me as there were loads of them. was on Radio 4 Extra recently. When Wm. and D weren’t being ill with headach etc. they were charging about the hills a lot. But no Goretex, fleece, or Vibram soles. Did they take a packed lunch, did they just take a cup, what sort? And fill it from a stream? D picked a lot of plants from the fells and put them in her garden. They also came across a lot of beggars and had an active social life, sometimes out very late indeed,and it would have been very dark then. And of course the trials of having drug addled S T Choleric to stay! 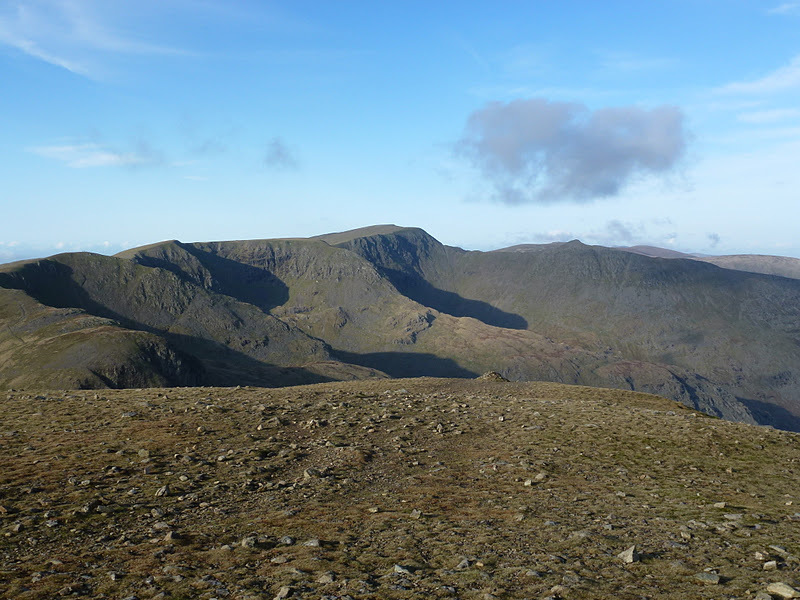 A quick lunch and then what Wainwright describes as the easiest mile in Lakeland to Great Rigg and then on to Heron Pike so 3 Wainwrights all in one day. Here I took a right of way that had no path on the ground to get back to Grasmere. I’m glad I did this as I had to really navigate properly to do this safely. 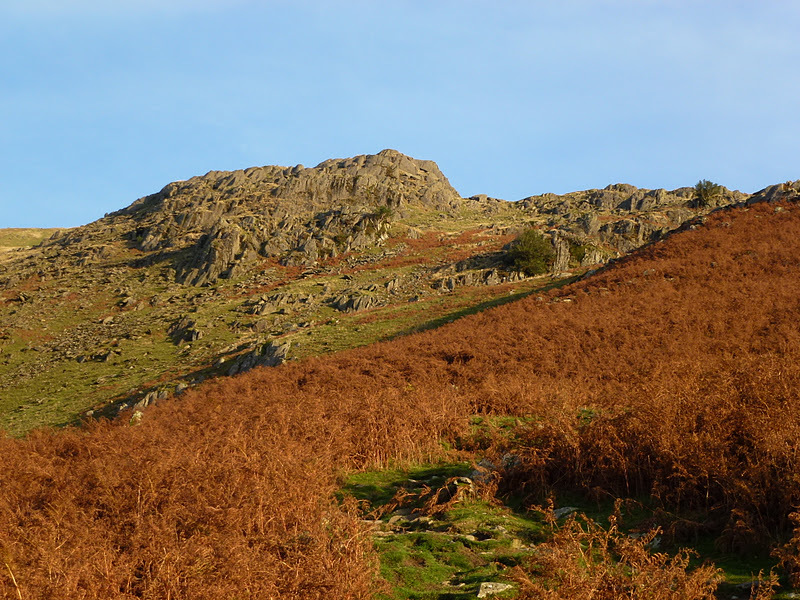 I went through a rocky outcrop (Butter Crag) and did a short scramble and then met up with a path back. This was good as I feel my nav skills have improved greatly and it’s good to put it into practice. 3 more elderly people were going up at 3.30 which seemed late to start going up hills. I got back to the car just after 4 and it was dark by 5. A good day with great weather and I have decided to do my exercises when I get in from work until the gym reopens. Wm. – “Not now, Dorothy, I am contemplating my Withered Turnip”.